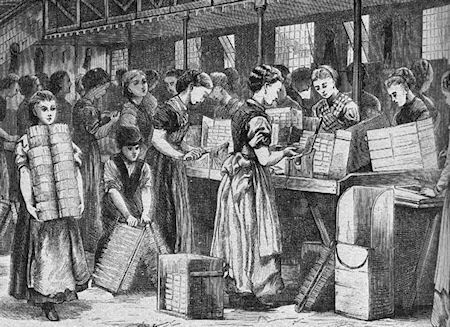 Matchstick making was incredibly popular in 19th century England, with hundreds of factories spread across the country. For 12 to 16 hours a day, workers dipped treated wood into a phosphorus concoction, then dried and cut the sticks into matches. Recently, anthropologists studying the skeleton of a young teenager discovered that the bones appear to show the physical hallmarks of phosphorus poisoning.